I confess, I’ve been a tease. It was an easy relationship to fall into: Barnes & Noble Booksellers seduced me with the tempting smell of fresh-brewed coffee mixed with a hint of vanilla, which seemed to say, “C’mon in. We’ll take good care of you.” And so, month after month, I pull open those dark green double doors and scan the room, not really caring why I was crossing the threshold. Convenient subject categories help make sense of my visits. Eastern Religions, Leadership, Travel, Bargain Books.—every store across the country the same: forever that smell; always endless shelves stacked just so. Hours spent browsing books, sampling tracks in the forgotten music section, sipping soy lattes while my kids read board books and participated in free crafts events on Saturday mornings. And once, in a moment of weakness, I practically screamed my affection as I plopped into a comfy armchair near the Business-Leadership section and read “Still Alice”, cover-to-cover in one 4 hour sitting. And, I didn’t even buy a coffee! I’ve been a bit uneasy with the arrangement. It boils down to wanting to be needed. I’ve indulged in at least 15 years of casual browsing, and B&N has managed to do just fine. Occasionally, I drop a 5 on a drink or pastry but really, the bookstore doesn’t need ME. In fact, I’m pretty sure I’m not the only girl it’s dating. From the boxes of Mary Engelbreit notecards to the Moleskins in pastel spring colors placed attractively near the checkout line, there’s clearly someone else. On a recent visit to Washington DC I found my new love. 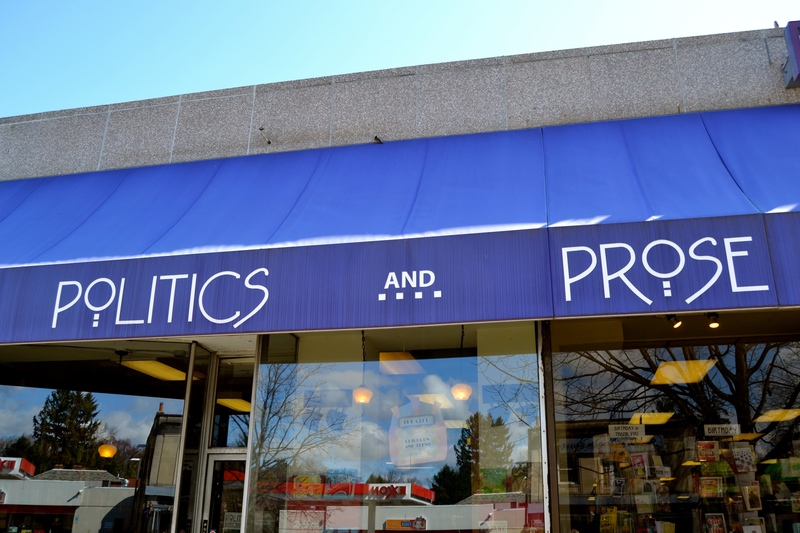 Bye-bye, Barnes & Noble, hello Politics and Prose. 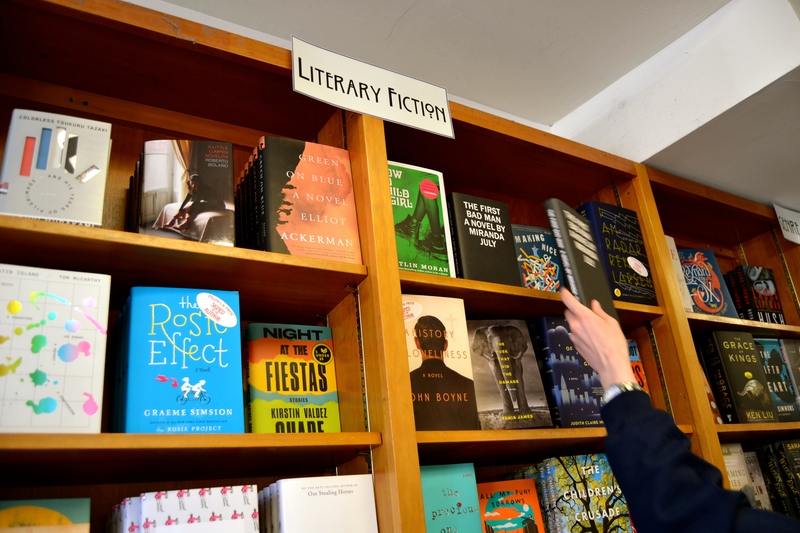 This little gem of an independent bookstore has been a favorite of DC culture mavens and is a hot spot for author readings. On the day I visited, there weren’t any swanky events scheduled but the books displayed front and center kind of knocked me over. So long NY Times bestsellers, you’ll now be located on a table near the back; howdy featured work reviewed this morning on NPR. Books stacked high requiring me to reach on tippy-toes to get a better feel for the weight of the words in my hands and the chance to wonder where I might find myself reading it. I spent a little over an hour in the shop, be-bopping from table, to shelf to display rack, reading staff endorsements and listening to lively side conversations between fellow book lovers. Maybe I’m not ambivalent so much as worn out on chain stores that offer the same experience each time. It could be that what I miss is someone wooing me because they find me unique and quirky and just a little bit desperate. Politics and Prose offers me an encounter both ordinary and profound. Sure, there’s an easy beach read that will keep me entertained; but there’s also a special book or three that tap into my deep longing to be a person of significance. It’s no secret that I took a leap and paid FULL PRICE for two books in the store: How To Sit by Thich Nhat Hanh and Everything Belongs by Richard Rohr. Not surprisingly, both books were found tucked safely near their friends in the Christianity section. No crazy prosperity gospel tomes here…just deep and durable guidance from people like Lauren Winner, Ronald Rolheiser and CS Lewis. I’m ready to make a commitment, but with strings attached. I need a relationship that gives me the space to occasionally step out with another suitor. There are times that the Internet behemoth Amazon.com is simply the right choice—like buying used books with previous reader’s notations. And sometimes, the Barnes & Noble Café is a great place to flip through a stack of magazines while enjoying a coffee. I’m not ready to give up the little indulgences. 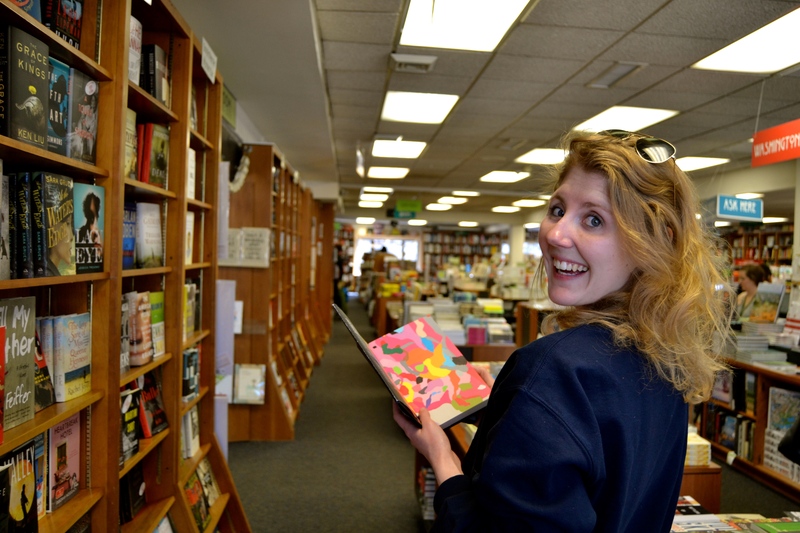 But for all the other moments when I naively want to get lost in a new world, I’m going to hit upon my local bookstore. It may not be exactly like P&P but I’m fairly certain it needs me just the same. What other kind of fiction do you desire?